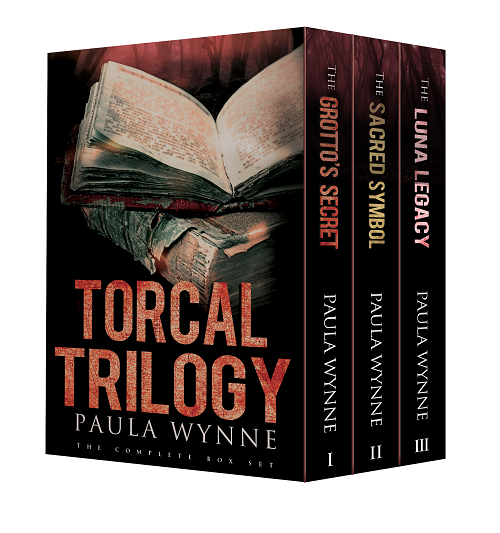 FIVE lucky draw winners will each receive The Torcal Trilogy boxset, containing The Grotto's Secret, The Sacred Symbol and The Luna Legacy. Paula Wynne is offering you two chances to win her either the eBooks or paperbacks of her historical mystery thriller series in our Christmas Readers Book Giveaway. This is ideal for readers who have not yet read The Grotto's Secret, The Sacred Symbol and The Luna Legacy. For reviewers who have read and loved both books, here is a chance to win the paperbacks of all three books.